Under direct supervision of the Parks Facilities Supervisor, Gardeners are responsible for performing various gardening and groundskeeping duties in parks, municipal grounds, and trails within a Regional Park or Park District in the Department of Parks, Recreation and Neighborhood Services. San José Animal Care and Services is accepting applications for part-time unbenefited (19 hours) Animal Care Attendants to work at the Animal Care Center. The City of San Jose Finance Department is seeking to hire a Principal Account Clerk in the Payroll section of the Accounting Division. The Principal Account Clerk salary range is $57,907.20-70,470.40/annually, In addition to this salary, employees in this position will also receive a 5% ongoing non-pensionable compensation increase. The actual salary shall be determined by the final candidate’s qualifications and experience. In addition to the starting salary, employees in the Program Manager classification shall also receive an approximate five percent (5%) ongoing non-pensionable compensation pay. The City of San Bruno Community Services Department is seeking a Food Services Coordinator to coordinate the lunch program and assist in the planning, organizing, coordination and administration of community recreation programs for age 50-plus adults. This position works under the supervision of a Community Services Superintendent or designee. * Inspecting shrubs, trees and various landscaped areas for insect/disease problems and fertilization requirements. * Determining the type and amount of applications required. * Applying fertilizers, insecticides, herbicides, and other chemicals as needed. * Determining appropriate irrigation required for turf, plants, shrubs, and trees. * Planting, cultivating and transplanting areas within the park's landscaping as required. * Operating a broad range of equipment such as; tractors with attachments, various types of trucks, backpack blowers, turf sweepers, lawn rollers, aerators, renovators, thatchers, mowers, power edgers, sprayers, rototillers, power augers, power sod cutters, power brush cutters, fertilizer spreaders, and other equipment and hand tools used in grounds maintenance. * Checking and monitoring areas, equipment, and operations for safety, cleanliness, and security. * Assisting visitors to public areas with basic information and directions as requested. * Providing lead direction to classifications such as Groundsworker, Maintenance Assistant, and court referred program participants or volunteers. * Duties will also include preparing routine reports (oral and written). We currently have four (4) full time Gardener positions available in Park District 2, 3, 5, and 7. NOTE: Candidates must be willing and able to work weekends, holidays and/or other shifts as needed. * Please specify in detail how you meet the education and experience minimum qualifications and include in your response job titles, dates of employment, and duties. * Please explain in detail your experience and skill set that best qualifies you for the position of Gardener. * Please describe a time when you received a concern about a site you maintain. What was the concern, how did you resolve it, and what steps did you take to complete your scheduled maintenance while addressing the concern brought to your attention? * Describe any experience you have had in a supervisory or lead capacity. Include any experience you have managing, training, and evaluating staff, number of years of experience, and the number of direct reports. Animal Care Attendants report to the Shelter Manager of Animal Care and Services and are primarily responsible for feeding, caring and moving shelter animals; euthanizing of animals; and cleaning and disinfecting of kennels and cages. Other duties may include receiving animals brought to the shelter by Animal Control Officers or the public; assisting the public in claiming impounded animals or in adoptions; completing and maintaining animal records; responding to questions regarding age, breed characteristics and treatment of animals; and explaining and interpreting animal control laws, ordinances, regulations, procedures, and policies to the public. Animal Care Attendants are required to work weekends, holidays, nights, rotating shifts, and respond to emergency animal services assignments during off-duty hours. Employees must possess the ability to lift, carry, push, and pull materials and objects up to 100 pounds while handling animals and equipment. Employees may work outside and be exposed to inclement weather, may be exposed to blood borne pathogens while using hypodermic needles on animals, may be exposed to animal scratches and bites, and may be subjected to moving mechanical parts, fumes, odors, gases, chemicals, pollens, and other airborne irritants. The selection process will consist of an evaluation of the applicant's training and experience based on the application and responses to the Job Specific Questions. Only the candidates whose backgrounds best match the position will be invited to proceed in the selection process. Additional phases of the selection process will consist of one or more interviews. 1. If you have at least one year of full-time (40-hours per week) experience caring and handling domestic animals, please specify (a) the number of years of experience you have; (b) the name of the public and/or private facility where you worked; and (c) your job duties. If you do not have any experience, please indicate “N/A”. 2. What steps would you take to move a large, uncooperative Rottweiler from the public receiving area to its kennel? 3. Please provide an example of your experience describing how you have worked directly with customers. What steps did you take to meet the customers’ needs? If you have questions about the duties of these positions, the selection or hiring processes, please contact April Hanson at april.hanson@sanjoseca.gov. * Provide excellent service to Payroll customers (phone, e-mail, and walk-ins). * Provide eWay assistance to employees. * Check and appropriately handle voicemail for the main Payroll phone line. * Process employment verifications and Attorney subpoena requests. * Review and process PDP and education reimbursement requests. * Process CA DE4 tax withholding forms. * Process W2 reprint requests in accordance with established procedures. * Check for necessary backup and process vendor setup requests. * Make payments and entries for Kaiser, Blue Shield, and CalPERS. * Document desk procedures for assigned duties. * Volunteer, when available, to help team members or for additional duties. * Other duties as assigned by supervisor. There are no acceptable substitutions. Employees in this classification are represented by Municipal Employee's Federation (MEF), AFSCME, Local No. 101. The City Facilities Architectural Services (CFAS) Division of the Department of Public Works is currently seeking to fill two Associate Structure/Landscape Designer and/or Associate Architect position. Employees in this position are to perform professional architectural work of moderate difficulty to support from the programming phase to evaluation, review, design, and construction administration for capital improvement projects. Professional licensing is desirable but not required for the positions. All Associate level positions will be working under the supervision of a Senior Architect. * Prepares construction documents, specifications and reports necessary for a contractor to bid, and build for a variety of municipal improvements projects. * Develops and designs schemes, layouts and full projects using desktop publishing software programs, such as AutoCAD, Revit, Sketch-up, etc. * Prepares and coordinates consultant agreements. * Coordinates with architects, landscape architects, engineers, contractors, community groups and other City departments in conjunction with the programming and design and construction of municipal projects. * Provides and coordinates paperwork, meetings, decision making, projects cost analysis and estimates, and schedules as necessary to take a project from project definition through design, public bidding, and construction, to completion of the project. * Provides consultation to other departments and divisions for advice on ongoing or contemplated problems such as choice and use of materials, current requirements for ADA accessibility and California Building Code requirements. * Develops general guidelines, design elements, definition of necessary facilities and improvements, and analyses of all relevant factors in developing and constructing building and/or landscape improvements both now and in the future. Produces written documents for Council review and approval. * Reviews plans, and specifications prepared by consultants to ensure conformity to project program requirements, building codes and ordinances. Manages construction projects to ensure conformance to project requirements. * Trains and directs, and evaluates the work of subordinates’ employees involved in municipal projects and provides the necessary technical advice and direction. * Perform other duties of a similar nature or level. selection process will consist of one or more interviews - one of which may include a practical/writing exercise. Please attach a current resume as part of your application submission. In the form of a Cover Letter briefly describe how your education and experience makes you the best candidate for this position. 1. Describe your experience in the planning and designing of buildings. 2. Describe your experience in the preparation, management, and administration of consultant agreements and/or construction contracts. 3. Describe your experience managing budgets and schedules. 4. Describe your experience with desktop publishing and computer aided drafting software. Indicate what types of software you have used and the projects you have prepared. 5. Describe your experience working in a team to achieve a common goal. The cover letter should be no more than two pages in length (single spaced and at least 10-pt font). This response will also be used to evaluate the candidates' writing skills. You must attach a cover letter and current resume or your application will be deemed incomplete and withheld from further consideration. The Finance Department is seeking a Program Manager I in the Revenue Management Division. Under general supervision from the Deputy Director, the Program Manager directs and manages the day-to-day operations for the Utility Billing function of the Revenue Management Division. The Program Manager has one direct report and seven indirect reports and leads the billing and collection function for City facilitated water, solid waste collection, storm sewer, and sanitary sewer services. The Finance Department and its personnel demonstrate a strong commitment to teamwork, fiscal responsibility and building lasting partnerships. * Do you have at least 5 years of relevant experience? If so, please summarize your experience that qualifies you for the Program Manger I position. * Do you have at least two years of supervisory experience? If so, please describe your experience supervising employees including the number and classifications of direct and indirect reports for each position you have held management responsibilities. * Do you have experience implementing or administering a billing system? If so, please include details on the specific role and responsibilities you have performed. * Why do you want to work for the City of San Jose? What interests you most about this job? 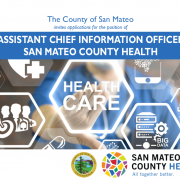 If you have questions about the duties of these positions, the selection or hiring processes, please contact Jun Kim at jun.kim@sanjoseca.gov. This position will perform food service management, food preparation, cooking, menu planning following Aging and Adult Services (AAS) guidelines, and kitchen sanitation procedures and routine cleaning of the kitchen and all appliances; purchase necessary supplies from vendors and keep detailed records of expenses and meals served and maintain food and supply inventory list. This position will also assist in the development, scheduling and implementation of a variety of fun lunch time activities and programs, such as the “Variety Show” and “Spring-Time Fun”. The ideal candidate will be a dynamic individual who can follow recipes, plan and organize menus; prepare food in large quantities and manage kitchen operations to meet a fixed preparation and serving schedule; calculate ingredients and prepare required food quantities with minimum waste; follow safety practices, sanitation requirements and health code rules; maintain a variable work schedule based on needs of program and community center; follow oral and written instructions, and communicate effectively both orally and in writing. Ideal candidate will also be able to safely operate kitchen tools and equipment, including proper use of knives, scissors and other cooking tools; maintain and demonstrate skills in First Aid and CPR; serve as an Emergency Disaster Worker and respond to other emergencies as needed; supervise and manage employees; demonstrate sound judgment, timeliness, initiative and independence. · Associate of Arts (AA) or Associate of Science (AS) degree from a two-year college or university with a degree in hospitality management, culinary arts, institutional food preparation management, or a closely related filed; or certificate in Culinary Arts from an accredited culinary school. · One year experience in institutional food preparation management or related experience. · Ability to obtain and maintain the following by the end of probationary period: First aid and CPR certification, and California State certification in food safety (equivalent to the ServSafe Certificate). This position requires knowledge of proper and safe methods of preparation and cooking of large food quantities; mathematical calculation and recipe conversions; food nutrition values and proper dietary combinations, food purchasing, kitchen sanitation and methods of cleaning, care of kitchen equipment and occupational hazards and safety precautions; recreation philosophy, planning and administration; equipment, facilities, operations and techniques used in a comprehensive community recreation program. Candidates must possess the ability to coordinate varied activities involved in a community recreation program; establish and maintain effective working relationships with employees, supervisors, other agencies, participants, instructors, community leaders, and the general public; communicate effectively orally and in writing; complete specific administrative tasks while maintaining availability to the public for inquiries and respond to emergency situations; demonstrate sound judgment, timeliness, initiative and independence. Applications may be submitted online at www.calopps.org. After an initial screening of applications, those candidates that best meet the Department’s needs will be invited to participate further in the recruitment process.